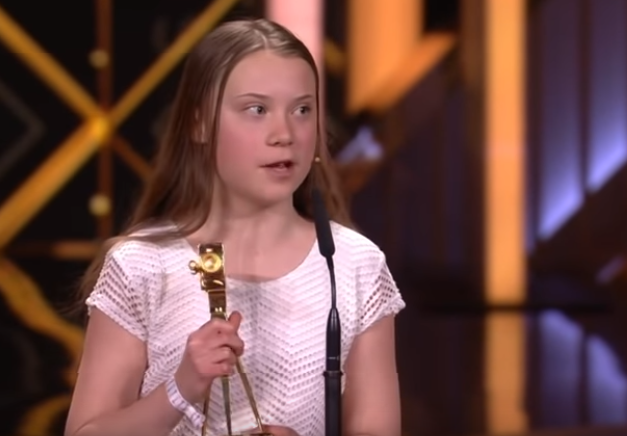 Greta Thunberg was awarded a special Golden Camera award at Germany's media awards night. She dedicated the award in her speech to the activists fighting against the destruction of the Hambach Forest for lignite mining and to all activists fighting to keep fossil fuels in the ground. She also called on the celebrities gathered to use their influence to raise awareness of the global crisis. "I dedicate this award to the people fighting to protect the Hambach Forest. And to activists everywhere who are fighting to keep the fossil fuels in the ground. Greta Thunberg has also won the inaugural Prix Liberté, according to a Facebook post, and also nominated for the Nobel Peace prize. The climate crisis is not only threatening the living conditions for billions of people. It is indeed threatening our whole civilisation as we know it. And it is the ones who are the least responsible who are affected the most. CARE - who is focusing on helping women and girls in the global south to cope with the effects of rising temperatures and a changing climate. The Adaptation Fund - who help vulnerable communities in developing countries adapt and build resilience to climate change. As well as 350.org and Greenpeace International who both fight for climate justice, the environment and to keep the fossil fuels in the ground."